For a few years I holidayed around the world in 4* hotels, neatly packaged and thoroughly sterilized from the airport departure lounge to the Welcome Reception and Drinks by the pool. The last package holiday involved myself, husband and two young boys staying in an “All Inclusive”, fully karaoked, Rep ridden hell hole in Cyprus where we were wrist-banded up and our free will was handed in at reception; needless to say I hated it. I realized how lucky I was to be able to see so much of the world but it always seemed a shame that although I saw the world, I didn’t feel it, I understood little of the locals way of life and absorbed little of the atmosphere and culture. I longed for the freedom of my own child hood holidays, spent mainly caravaning in the UK and on one occasion camping in France, St Jean Du Mont to be exact. I wanted my children to be free to explore their natural surroundings, to eat local and feel the pleasure of tasting their first real shandy by the sea with a packet of plain crisps; I wanted them to walk through the pine forests on the Vendee coast and marvel at the little bugs that glow green in the night. And as for my first sip of Orangina………. I love the outdoors, dislike cities and crave open spaces and have no time for rules or regulations, especially on holiday. I wanted to start camping again but there was one obstacle in my way – my husband. Our only attempt at camping had been aborted as I had begun to unpack the tent from the car on a lovely cliff top camp site near Cromer. My husband had such an aversion to camping he refused to move from the car, went a funny colour of green and demanded we left immediately. We never attempted it again but roll on a few years, after we married and our two boys were just starting school, we met some friends who spent every year in France in their old motor home. 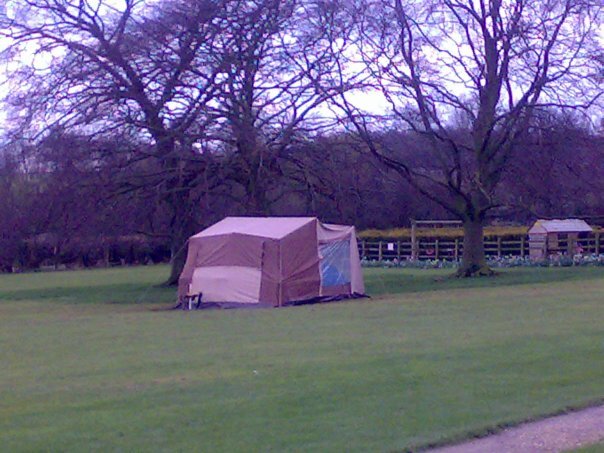 Cutting a long story short, I eventually persuaded the hubby to buy a motorhome on the grounds he would have his own shower and bed and it wasn’t camping at all. Even now I can’t believe I got away with it, but I did, and Lightening our beloved Swift Kontiki Motorhome was born. From the moment I saw Lightening (named by our sons because of it’s speed…..very slow) I was in love, but it took the hubby a while to begin enjoying it. The summer that we bought it, we booked a ferry and travelled to France and I have never looked back. The freedom, the weather, the open roads, the people and culture all combined to create the perfect holiday. My boredom threshold, which had been severely tested on package holidays, would never be tested again; when we tired of a place, we moved on. Holidays once again became a big adventure and myself and my two boys loved them with a passion. Moving forward a few years and the Hubby and I agreed to divorce, which we managed amicably but with a great deal of sadness. Our Kon-Tiki had been stolen 2 years before our divorce (I don’t think the loss of KonTiki and our subsequent divorce were related but who knows?) and it had been replaced by a lovely Hymer with fixed bunk beds for the boys. 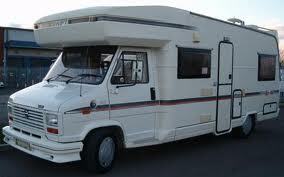 I was awarded custody of the Hymer but, due to a huge change in my financial situation, I had to sell her. I began the year of 2008 penniless and motorhomeless with little prospect of returning to France for the summer – how wrong I was! In January I met Bruce, by February we were an item, by March our children had met – my two boys and his son and daughter. By Easter we had all pitched a £100 trailer tent in the snow and spent, quite possibly, the coldest and most uncomfortable night of my life under canvas! In June Bruce and I worked for Greenpeace at Glastonbury and shared our new huge tent with the rest of the security crew – unbelievably not only did we go to Glasto for free but we got fed and paid – spot on. Spending the summer in France still seemed a million miles off, we quite simply had no money and no way of conjuring up the money to take us to France. And then something marvelous happened and in the space of a short phone call we were all going to France. Bruces’s friends had bought a small piece of land near Carcassonne and had pitched a Yurt on it. They had a well for water but no electricity and had asked Bruce (who is very handy at all things gadgetry/technology/Electric etc) to find them a suitable wind turbine to generate electricity. In July we all set off – a car, 6 passengers, wind turbine on the roof, trailer tent (tent bit had been removed and large tunnel tent plus all equipment , clothes, food etc could be stored in the trailer) 6 bikes and two batteries all set off for the south of France. Our hosts were paying for the diesel and we were to camp for free on their land, perfect, I couldn’t believe my luck. The holiday was a great success and we partied through the night once we had the wind turbine up and running. Three years on we are all under one roof, except my step daughter who visits and stays with us often. My eldest boy G is coming up to 16years old in July and I am aware he may not want to holiday with us anymore so I am determined to take us all for a last family camping holiday in France. I have booked the ferry for the 21st July and have a budget of £100 per day for all 6 of us (not including fuel and tolls) This is where this blog comes in, I hope to record our journey and whether we manage to keep within our budget – the adventure starts here……………………………………….. This entry was posted in Adventure, Camping, Family, France, Step Family, Tent and tagged Camping, Family, France, Hymer, Kon-Tiki, teenager, Tent. Bookmark the permalink.